iGlide. 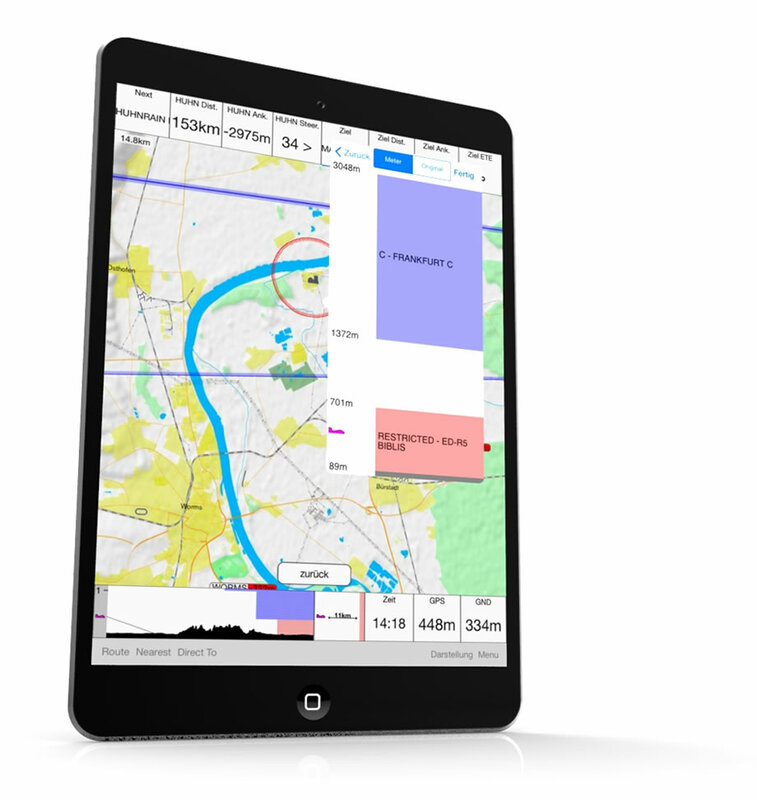 Our navigation app for glider pilots. iGlide is our gliding moving map app for Apple® iOS® devices like iPhone, iPad or iPod. iGlide offers many functions for beginners, for pilots starting their first steps flying cross country, and for pro pilots in competitions. It is clear, easy to use, and simple. 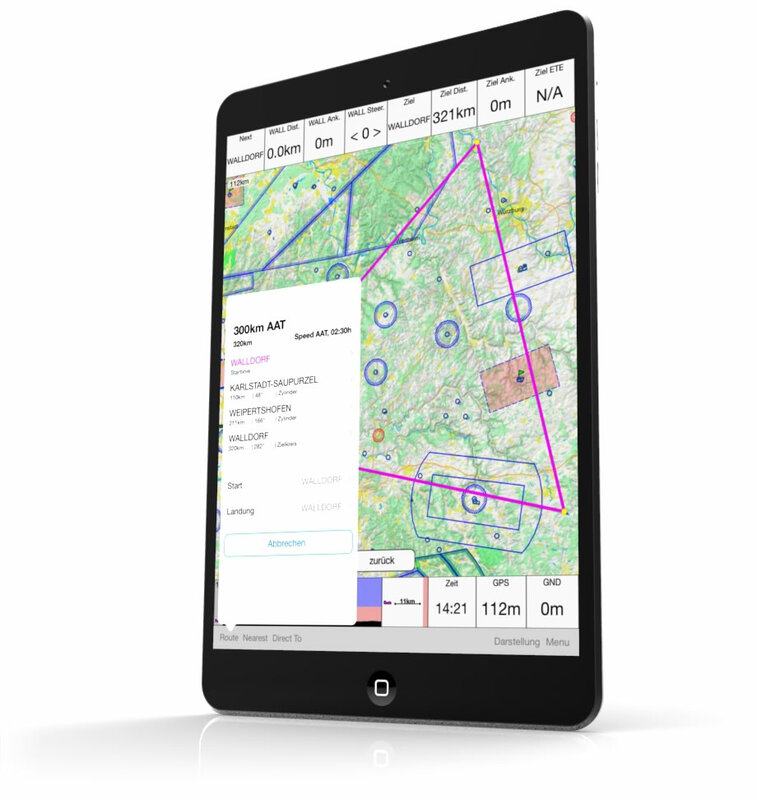 iGlide gives overview, even in highly complicated situations, takes the load off the pilot and gives more time to monitor airspace. Task-planning in IGlide is comprehensive yet simple to use. It integrates the most common FAI competition rules (US competition rules to be integrated 2014) and helps you flying complex tasks with its optimization features, for example the AAT optimizer. The Map in iGlide is very detailed yet easy to read. It highlights important landmarks and adapts details to the selected zoom range in order not to clutter the display. Its high resolution terrain database always shows your current glide-range along the planned route. 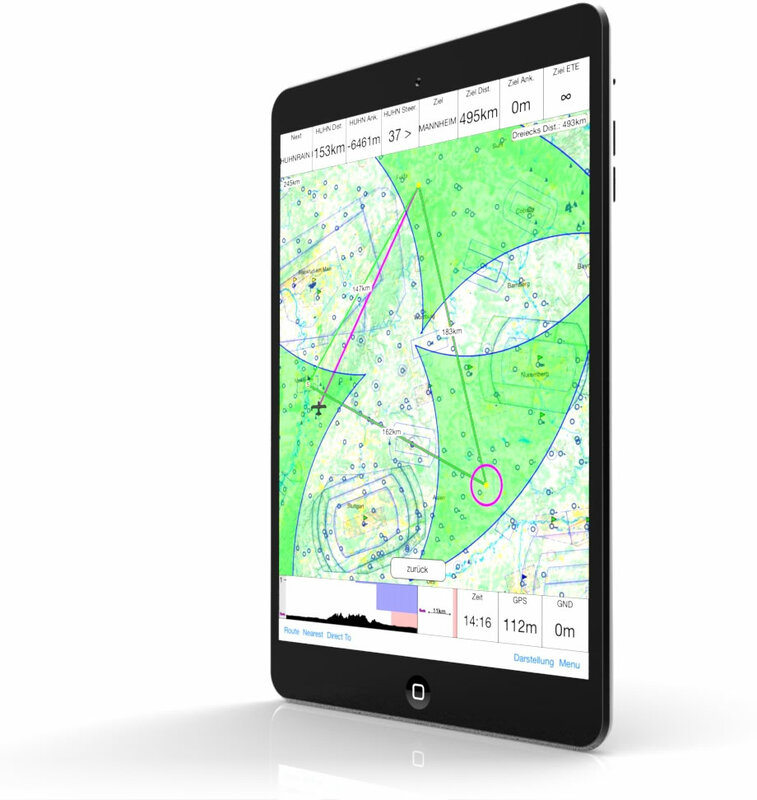 iGlide comes with free regular airspace updates (most countries even weekly). 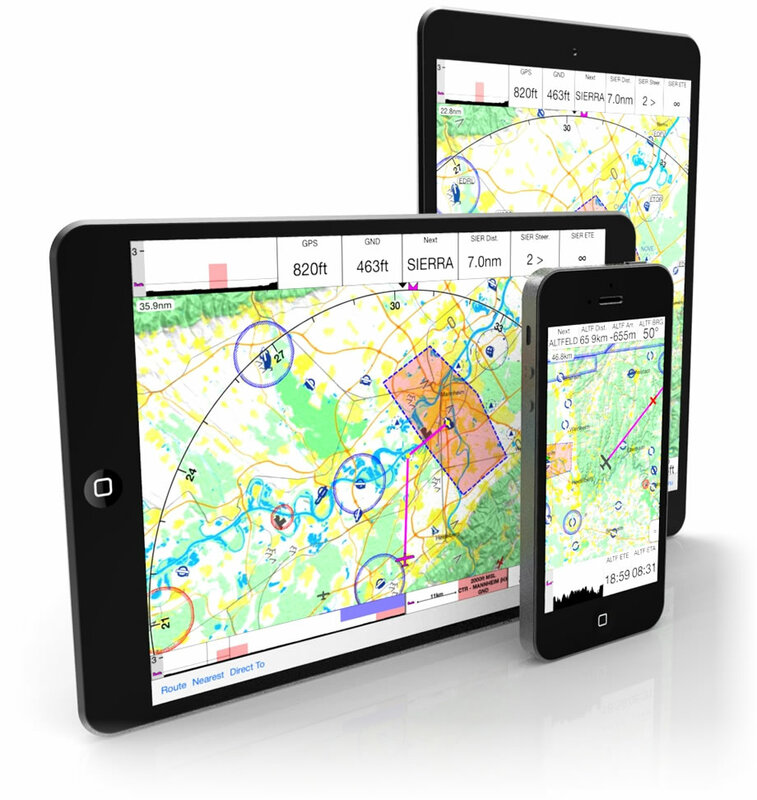 Airspace overview, sideview and airspace Nav-Boxes bring intuitive airspace awareness. 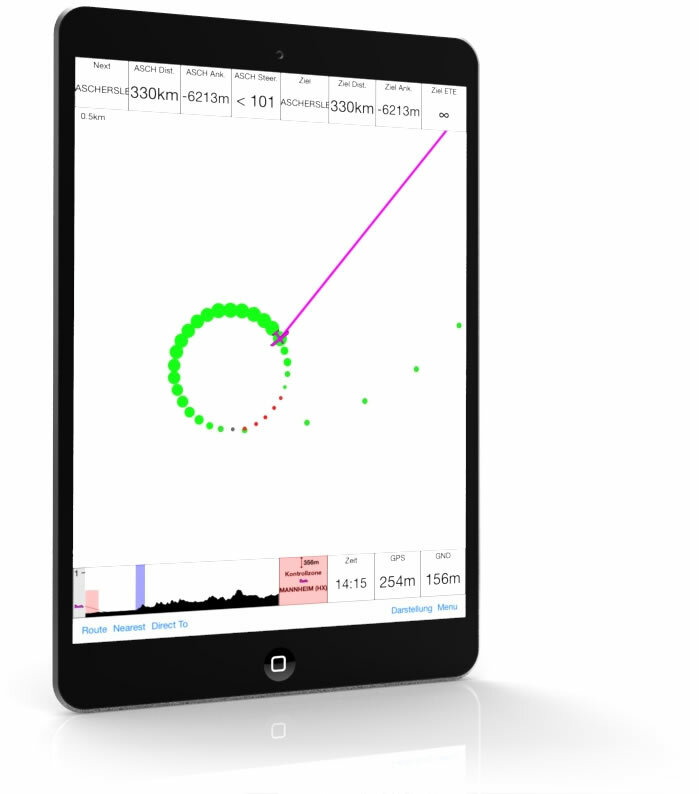 iGlide warns visually and acoustically of airspace infringements. iGlide runs on all Apple iOS® Devices (2011 or newer). It works with iPad®, iPad mini®, iPod touch® and iPhone® and perfectly adjusts to available screen-space and orientation. You can use your copy of iGlide on up to five different devices all on one purchase. The FAI optimizer gives you information if your currently planned route is FAI conform in realtime. It makes it possible to easily re-plan your current task for the day and still be sure to fly FAI conform triangles. The circling-assistant helps you center thermals. It shows where the climbrate is best in your circle and gives you hints on where to fly to. If connected to a Butterfly Vario it shows you the current live-wind indicating areas of horizontal air movement pointing to the center of the thermal. iGlide is available in 3 different editions. Upgrades from one to another are possible at any time. The range begins with simple entry-level editions for a low starting price of only 33,99€ up to all-inclusive editions for professional users. It is possible to purchas the functionality of higher editions at a later time. You can start with purchasing the lite edition and upgrade to advanced-edition or pro-edition features later (at special upgrade prices). Simple DirectTo function with one waypoint. Basic final glide calculator. Airspace Warnings. Sideview with airspace and terrain on course. All features of the iGlide lite edition. Accurate automatic wind-calculation while circling. Final glide calculator also takes wind into account. Simple task planning with multiple waypoints and standard 500m cylinder sectors. Dynamic drag-and-drop routing funtions. 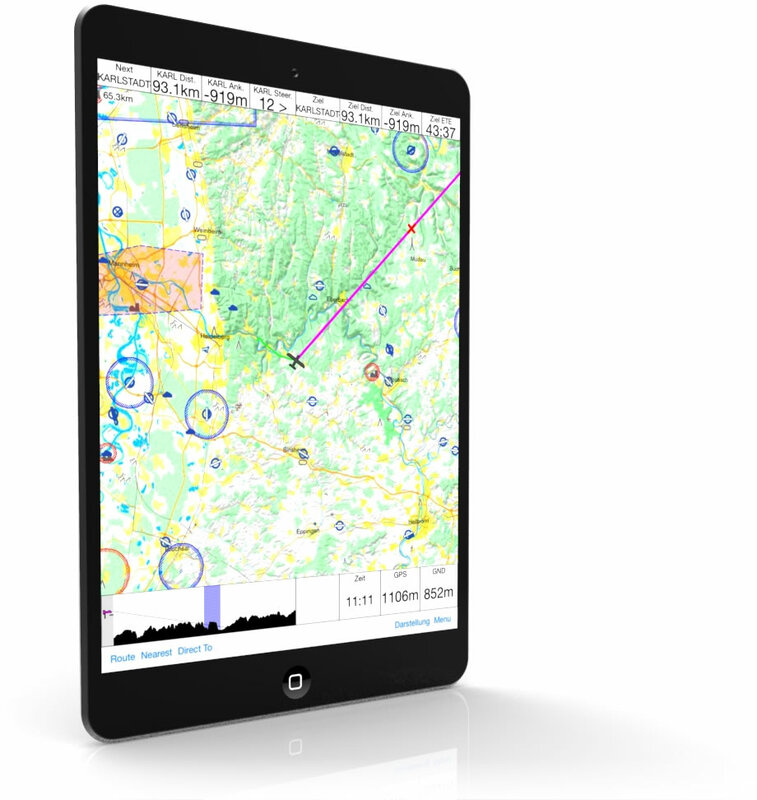 Flight recorder (OLC blue valid) with direct OLC flight claim from your device. Sending logfiles via eMail also possible. All features of the iGlide lite and advanced editions. Comprehensive route planning with support for complex competition routes and statistics. Advanced optimization functions for assigned area tasks or FAI triangles. OLC distance counter using latest OLC rules. Climb optimizer with automatic zooming function. Visit AIR STORE to see all available accessories and more to integrate iGlide into your aircraft.